moving average | Chubby For Life? The first week I’ve lost ten pounds. I’m sure much of it is water but I’ll take that. If it is water that means it could come back just as fast so I have to be careful. I’ve avoided the triggers and actually counted every calorie that I’ve eaten for a week. It’s getting easier. With this jump-start I still plan to lose 8 pounds a month. 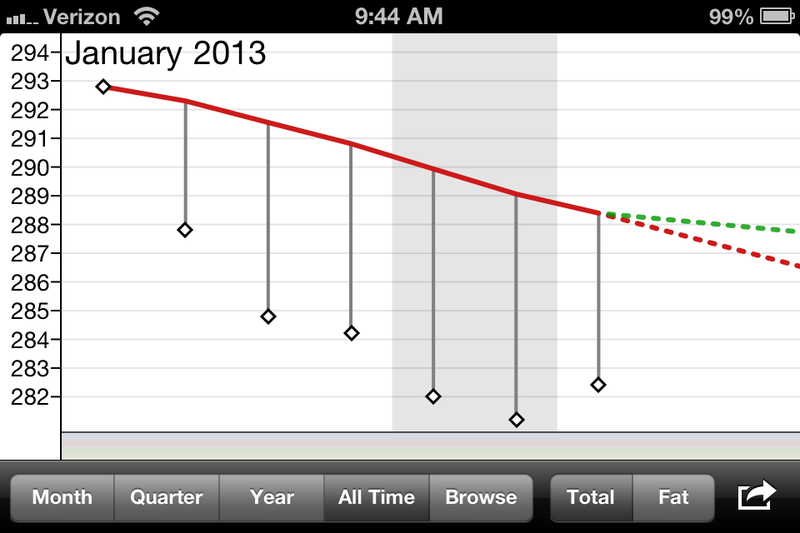 Since I’ve dropped this I expect to lose six more by the end of January. This is fantastic. Now I plan to start hitting the gym. Once the weather breaks I’ll be on the bicycle every day. I have complete confidence that I will drop this weight. So far I’ve been focusing on calories instead of quality and starting today I’m going to start working on eating better quality of foods. Plus I’ll be going to the gym and starting exercise. Probably the treadmill and a light round on the machines.